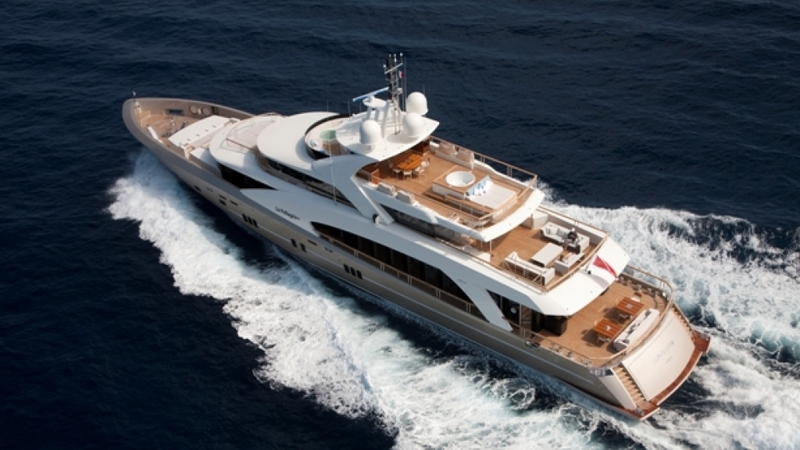 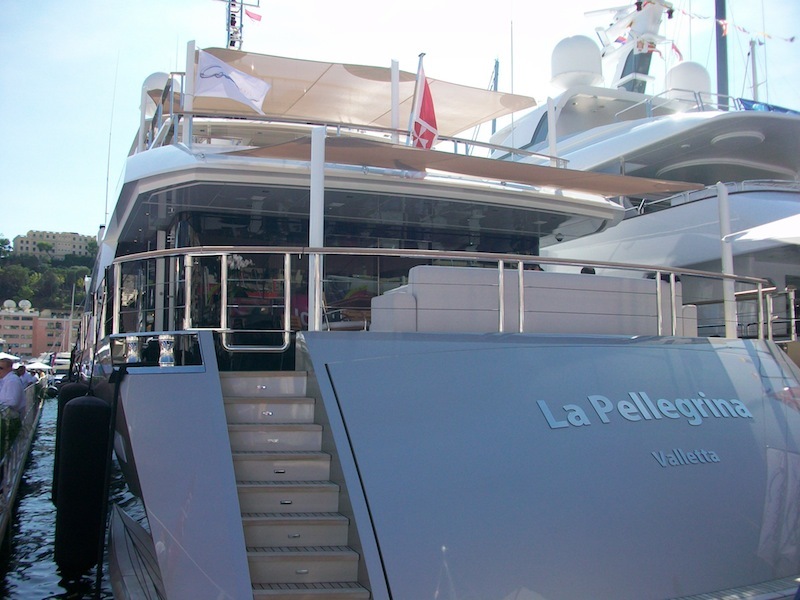 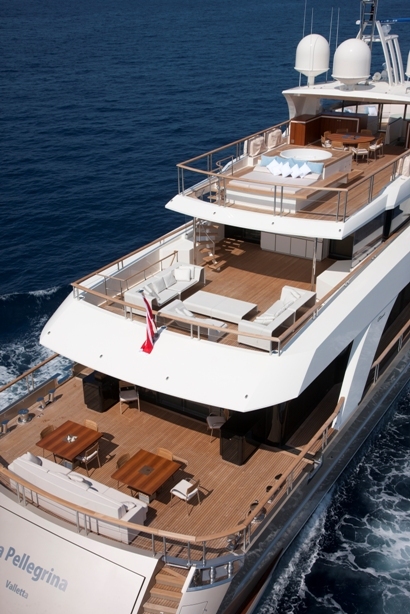 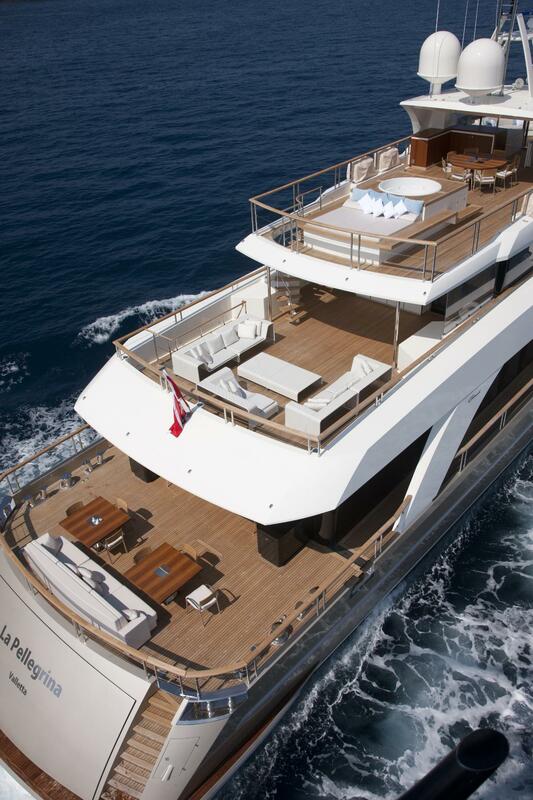 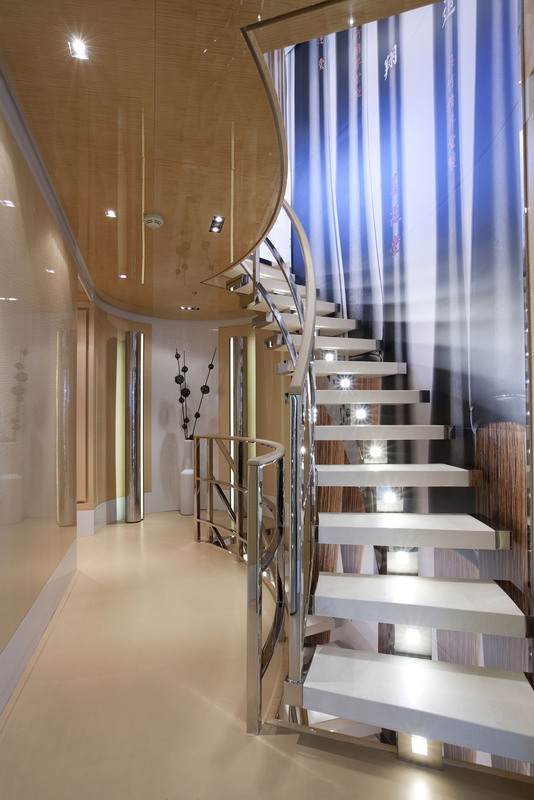 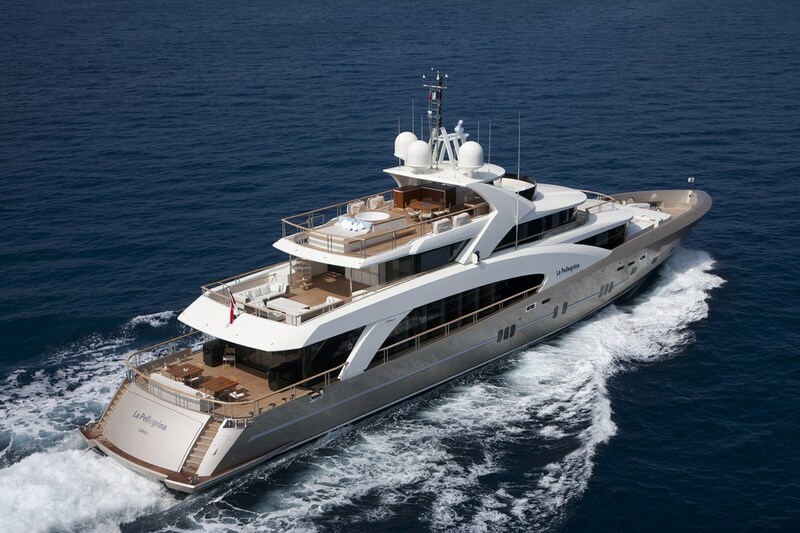 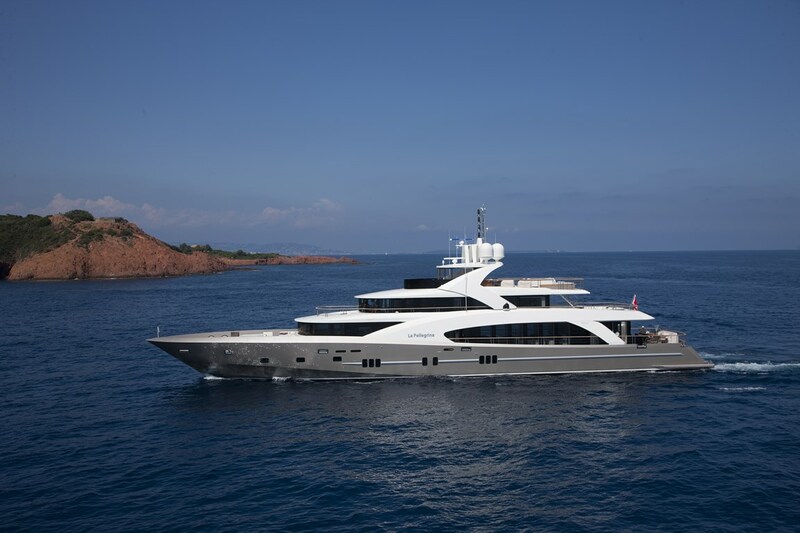 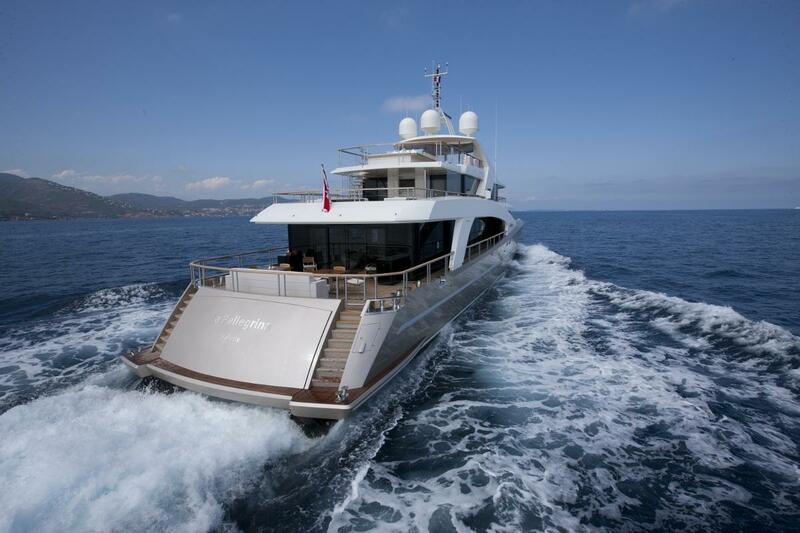 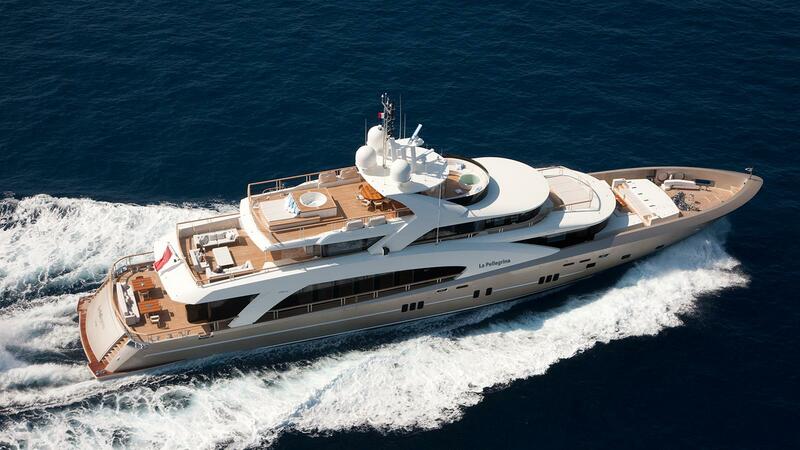 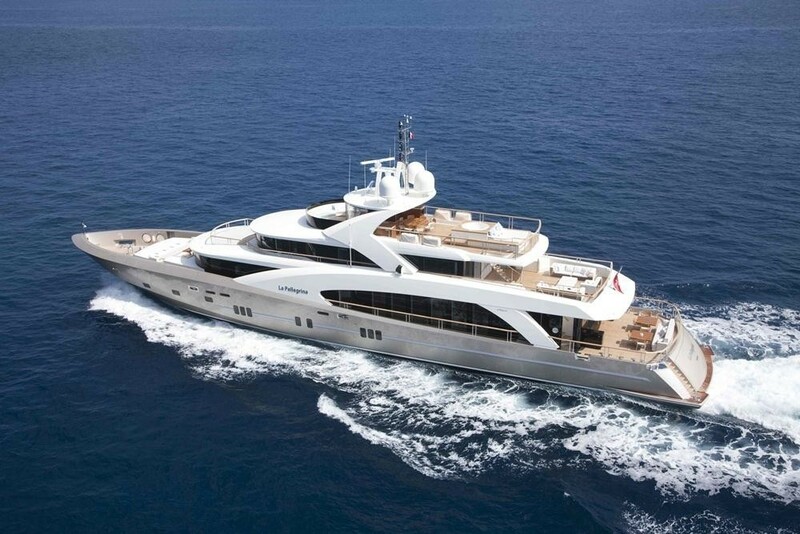 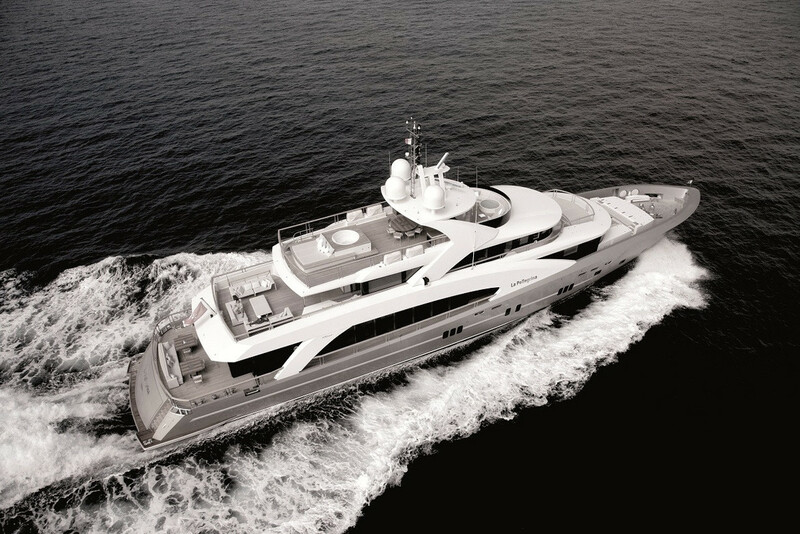 Superyacht LA PELLEGRINA exudes luxury from every aspect. 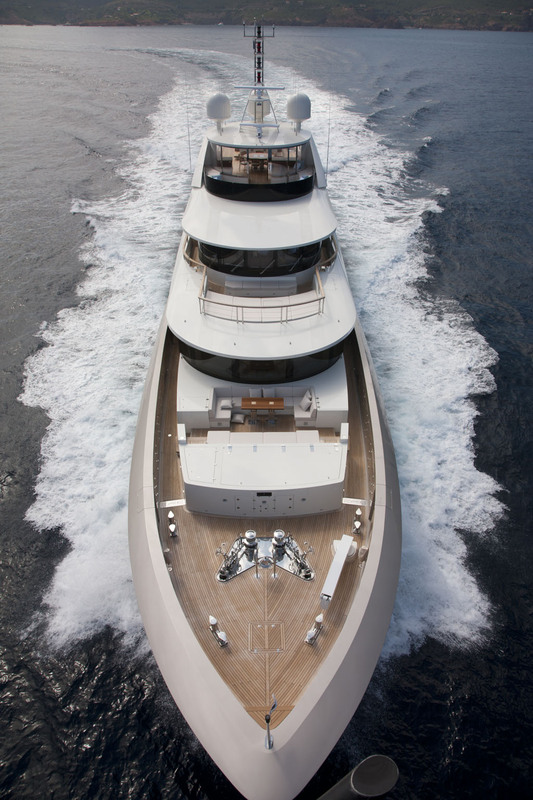 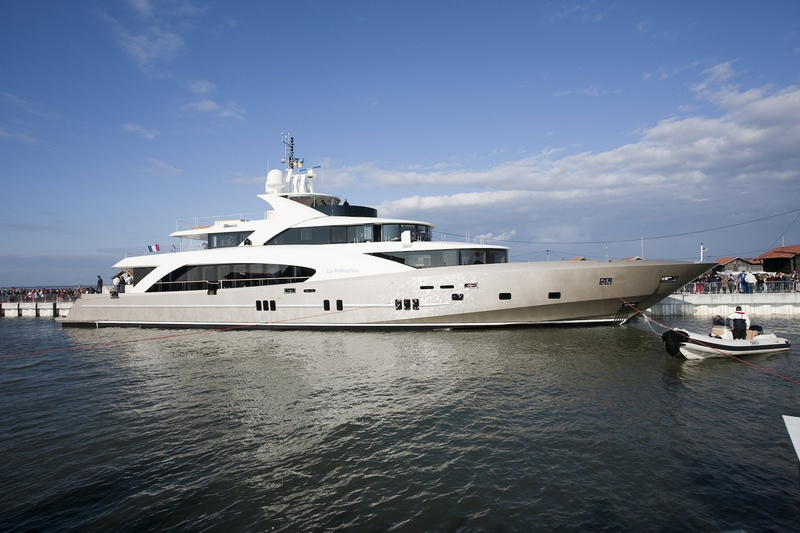 This 50m (164ft) tri deck motor yacht was built by Couach shipyard in 2012 in collaboration with naval architect Exequiel Cana Lanza. 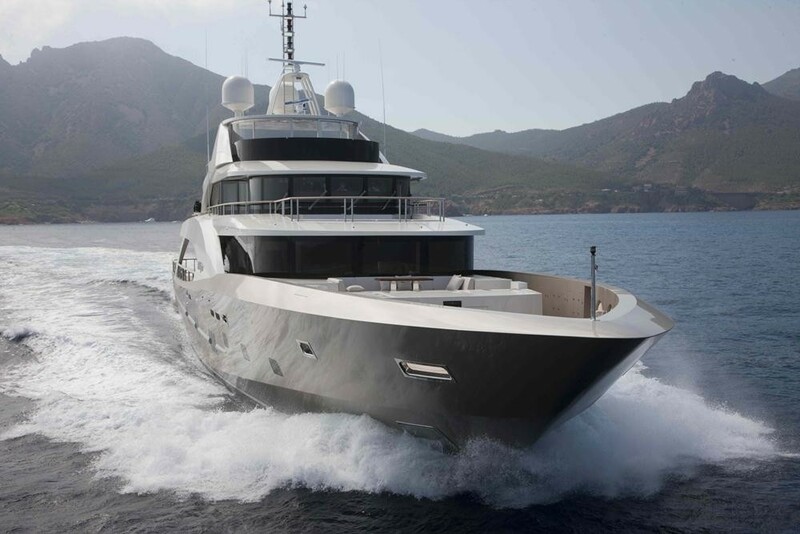 Her head turning hull and superstructure are constructed of reinforced glass Kevlar, making her lighter, faster and more economical. 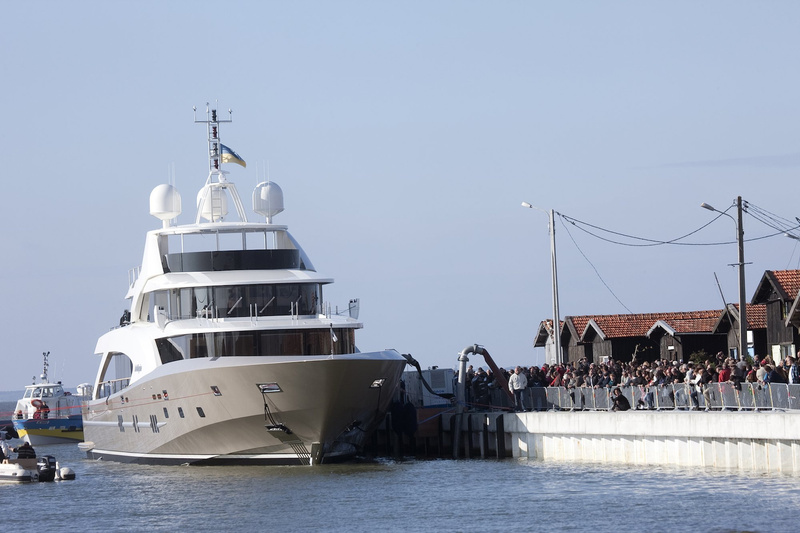 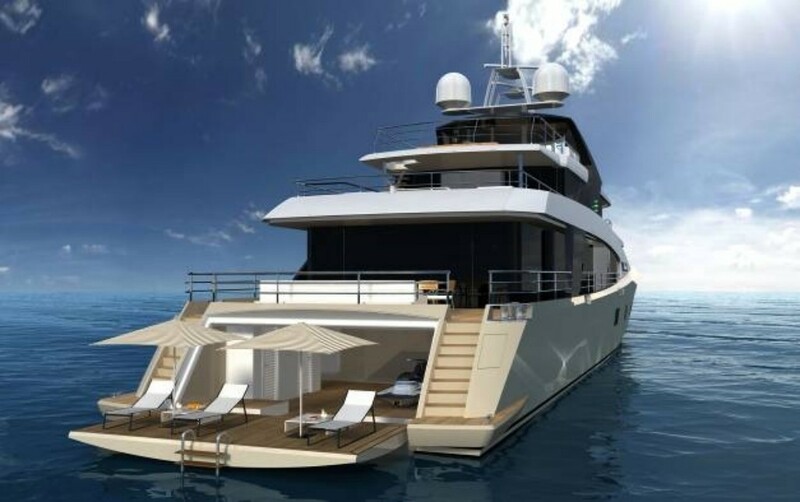 She can accommodate 12 guests in 6 deluxe cabins. 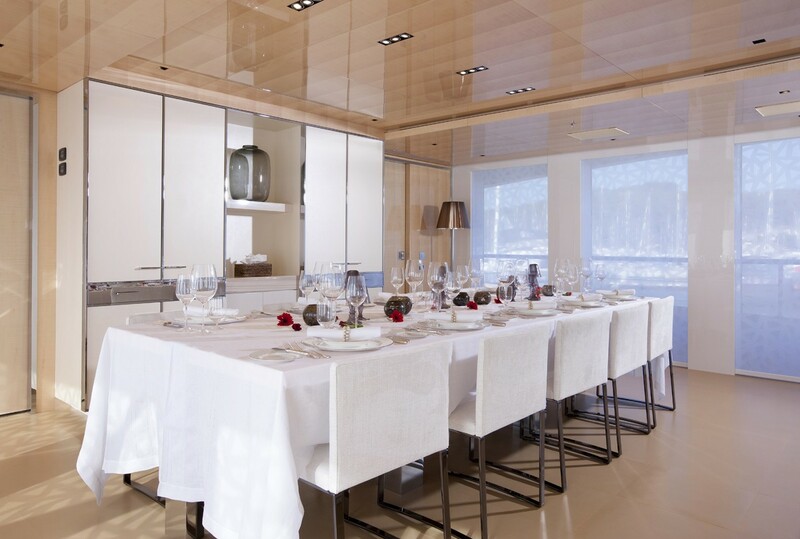 LA PELLEGRINA boasts interior design by Jean Pierre Fantini and features a stylish modern décor of subtle creams, fine furnishings, and high-end fittings. 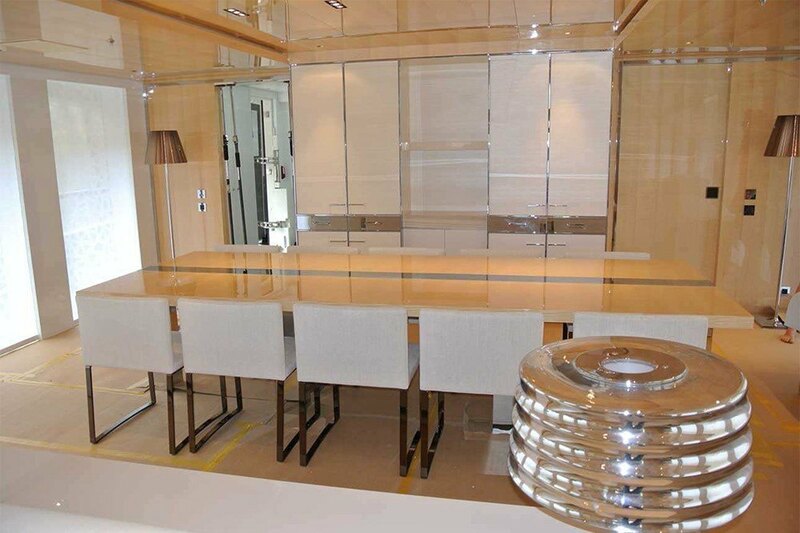 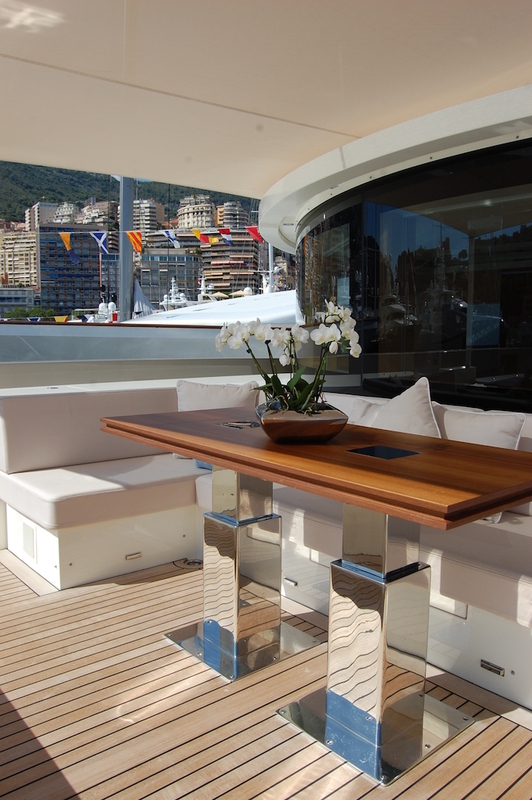 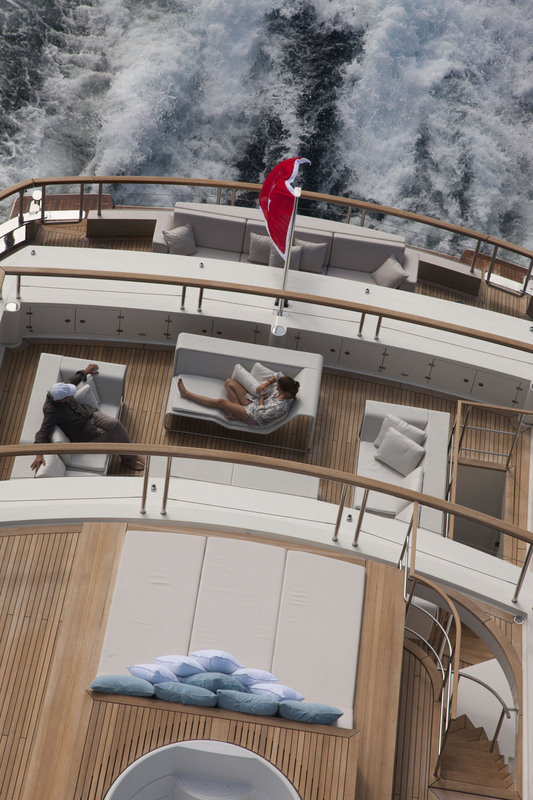 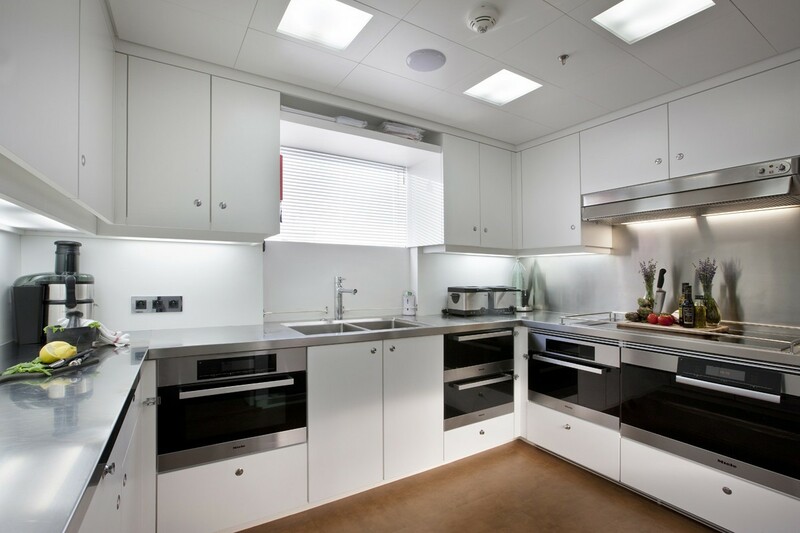 On the main deck, the salon and dining are an open plan separated only by a low island crezenda. 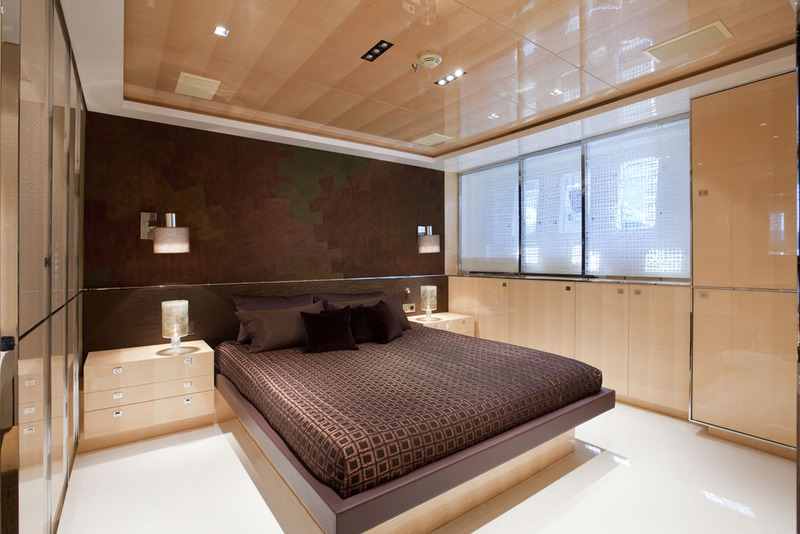 Floor to ceiling windows bring in brilliant natural light and provide a more spacious feel; optional shades ensure ultimate privacy. 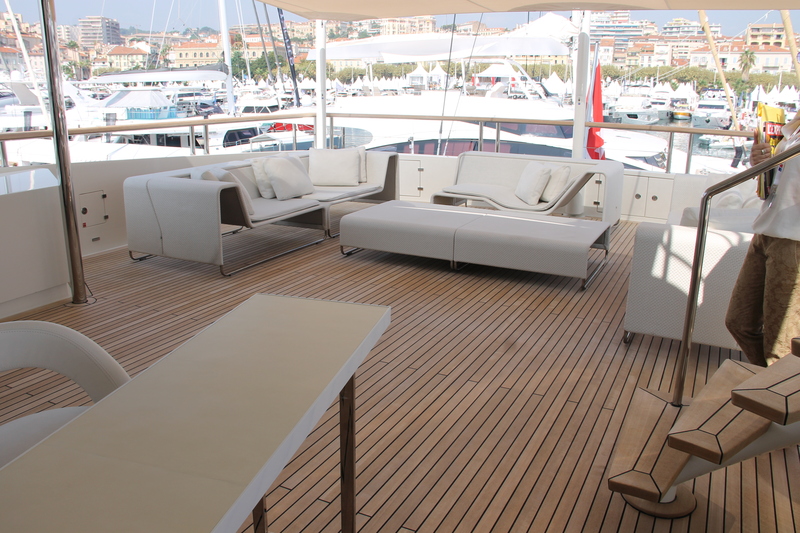 The lounge area features 2 opposing plush sofas and a large coffee table, followed by 2 cocktail tables and chairs. 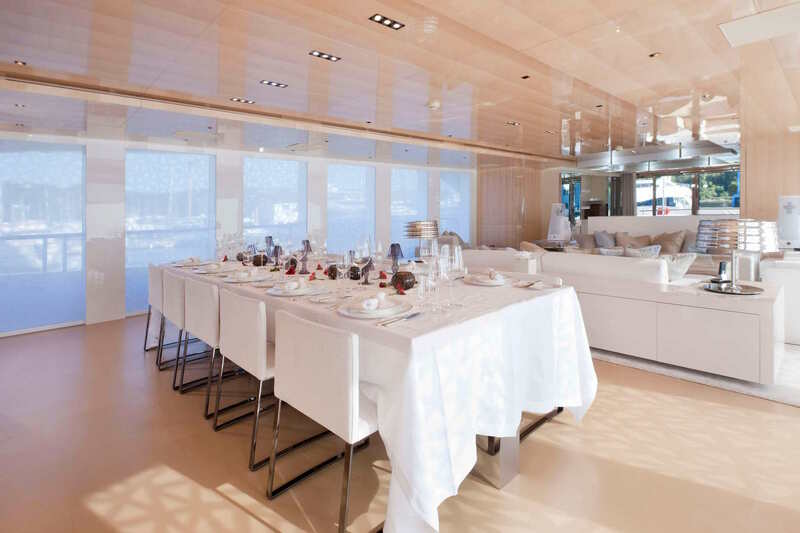 The formal dining space is forward of the lounge and shares the same panoramic windows offering seating for up to 12 guests. 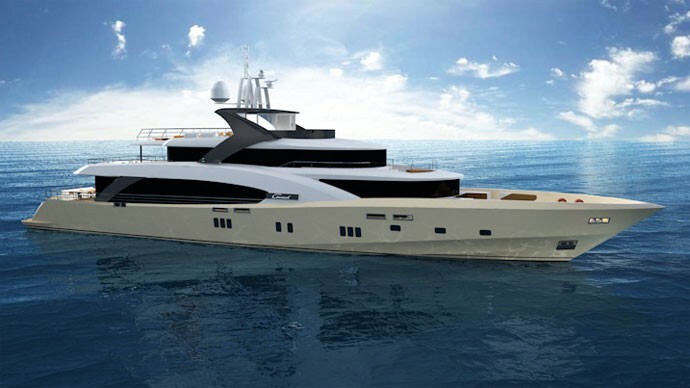 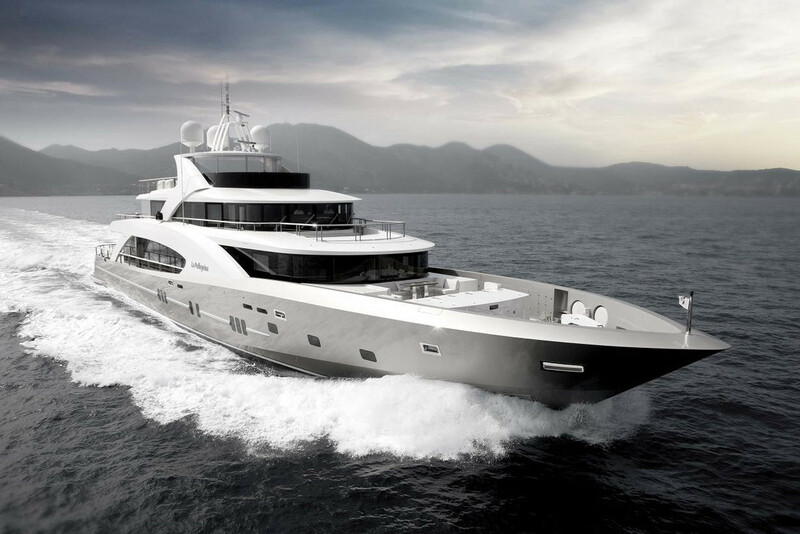 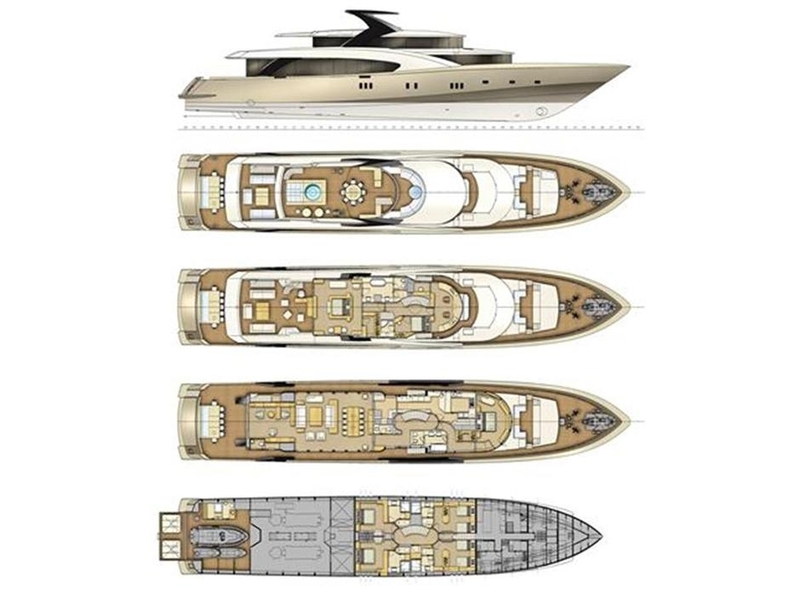 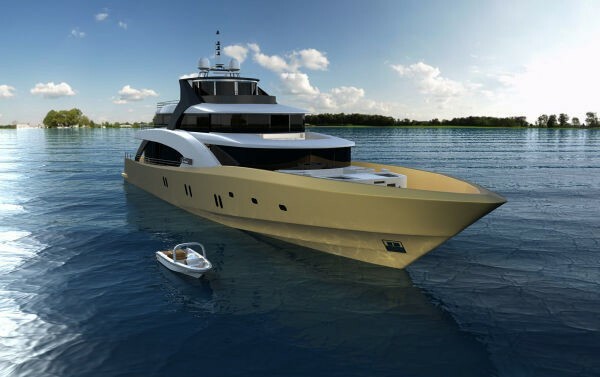 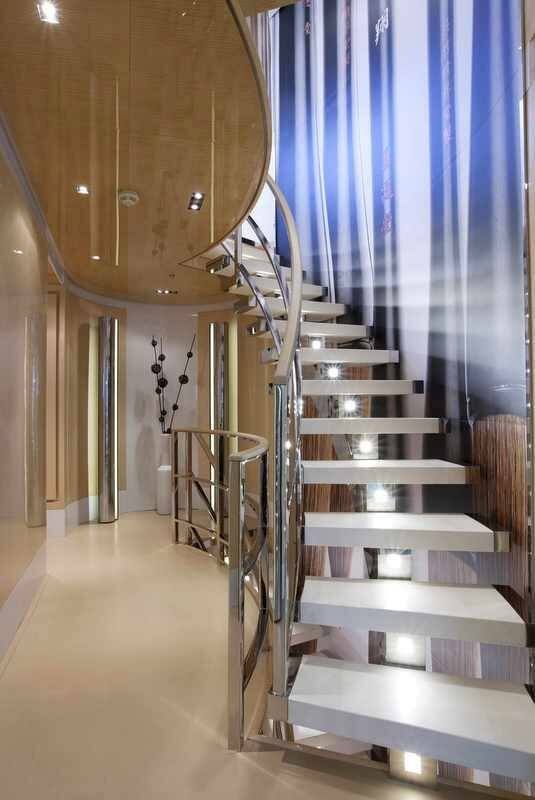 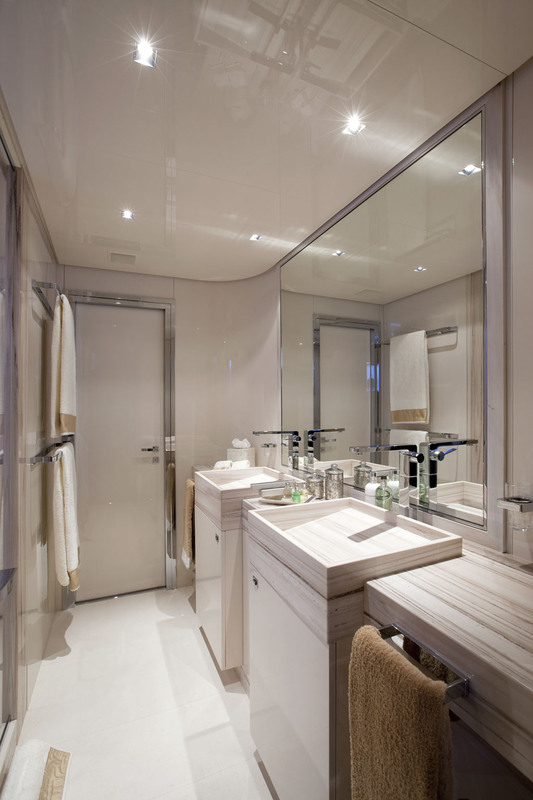 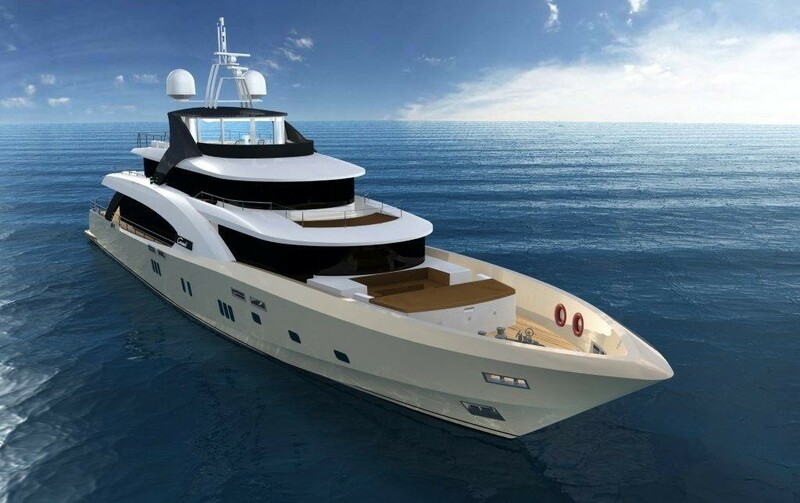 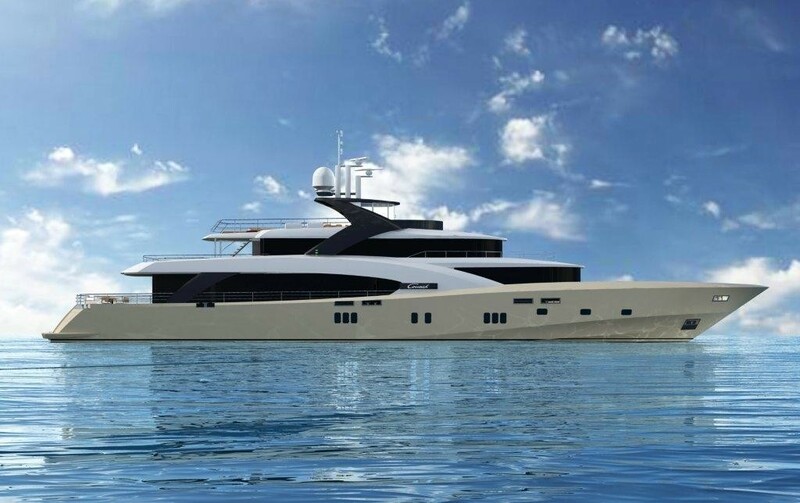 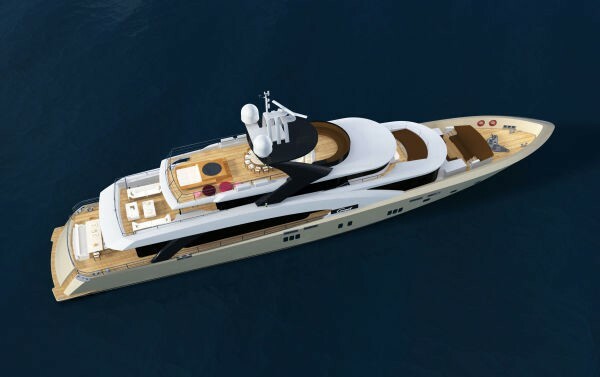 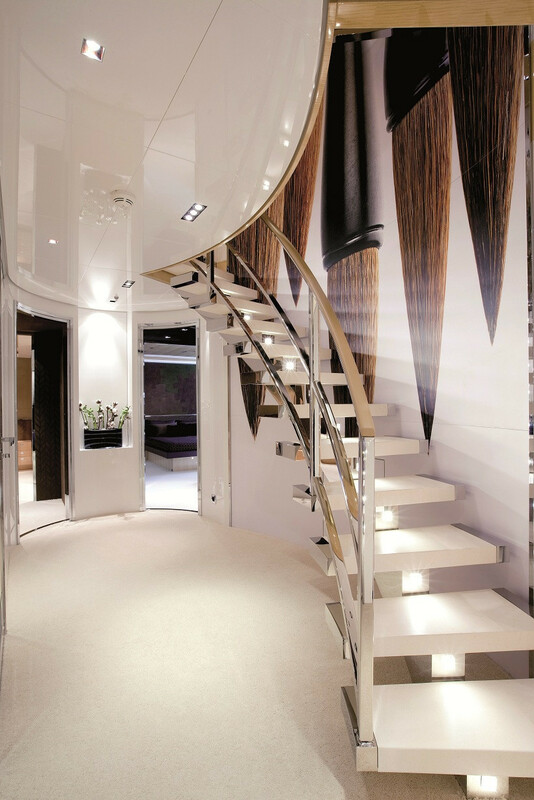 On the main deck forward of the salon, there is a VIP cabin, a stylish forward facing full beam cabin with king size bed, sofa, walk in wardrobe, 180 degree surrounding windows for optimum views and en-suite facilities with a large shower and his and hers sinks. 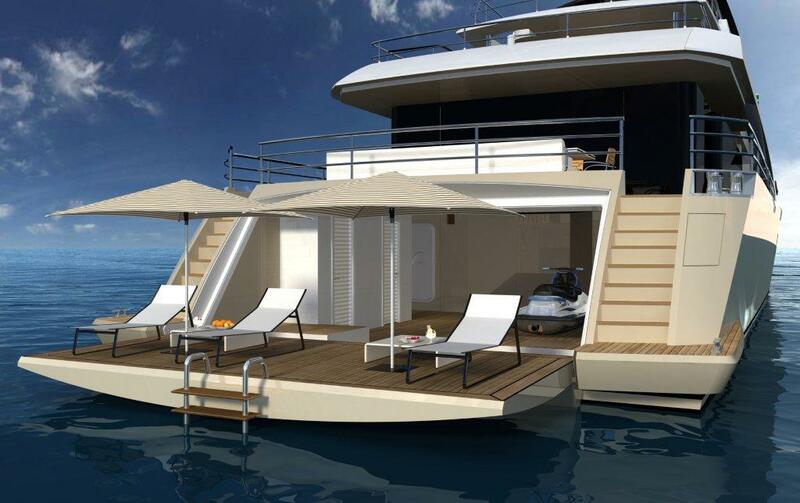 Exterior living aboard is generous on three decks. 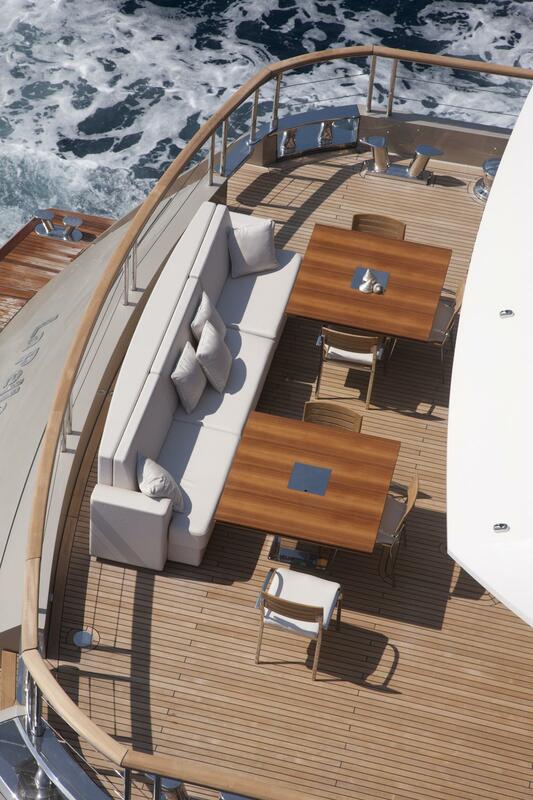 The main deck wraps around the entire yacht offering a large aft deck with partial shade, ample seating, and two alfresco dining tables. 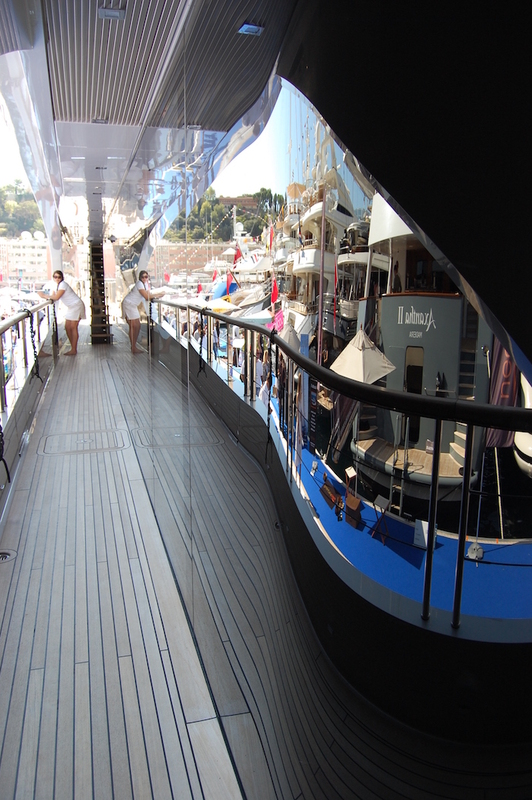 Steps on port and starboard lead down to the opening beach club, the ideal place to enjoy the many water toys on offer or simply sit back and relax. 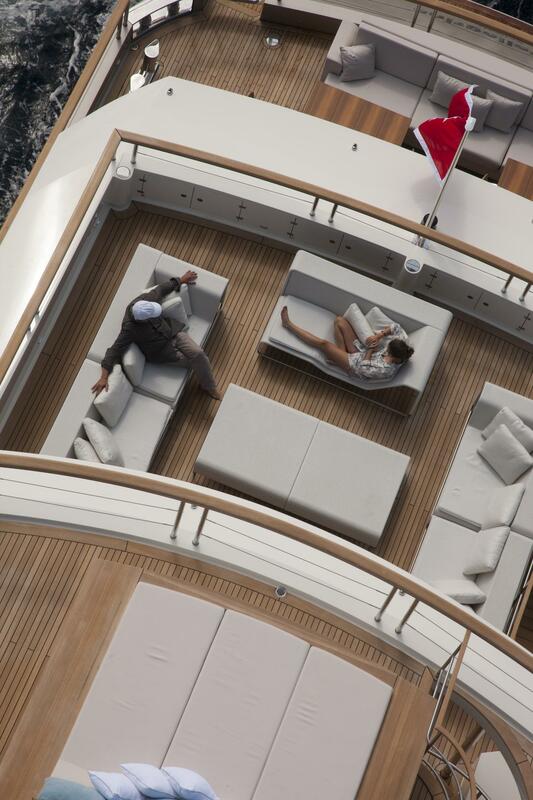 Forward on the main deck, an additional alfresco dining option and lounge seating is the perfect escape. 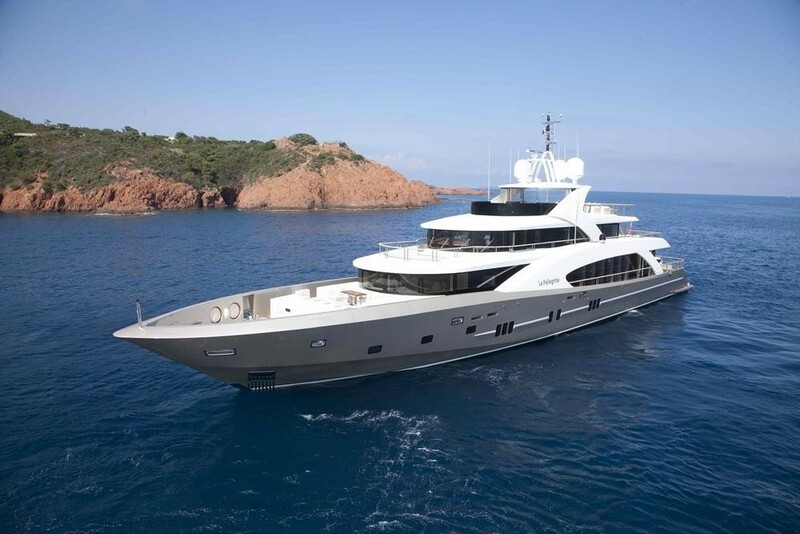 LA PELLEGRINA’s upper deck is adjacent to the master suite and offers comfortable seating on three outdoor sofas, access from the aft deck is on port and continues to the top deck. 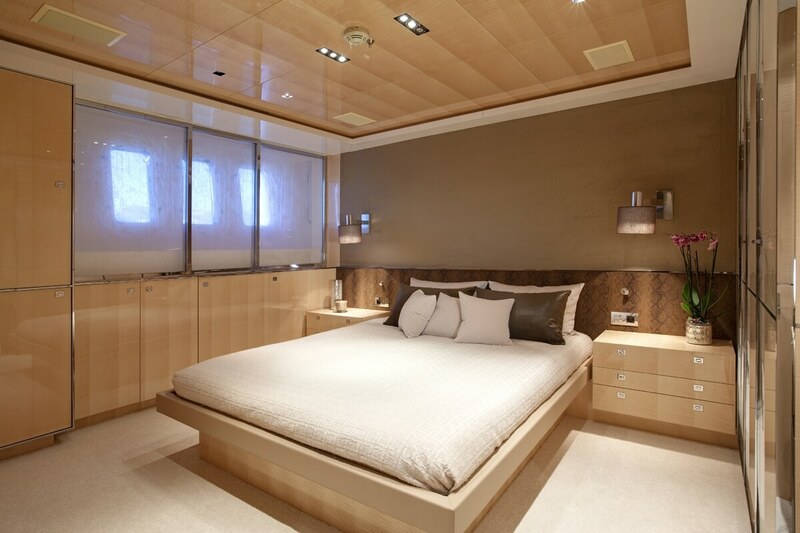 The master suite is aft of the pilot house and full beam of the yacht featuring an island style king size bed, sofa, table and seating, walk in wardrobe, and en-suite facilities with his and hers sinks and a tub. 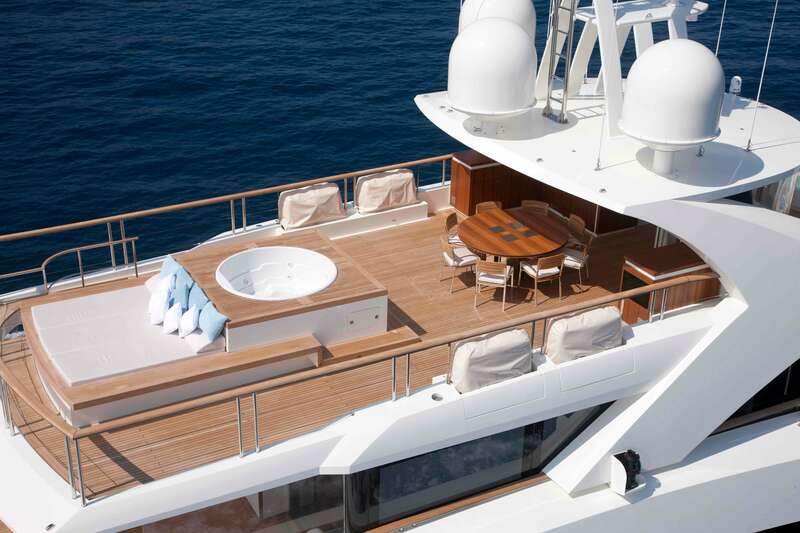 Charter yacht LA PELLEGRINA boasts an impressive top deck complete with an alfresco dining option, massive sunpad, and deluxe Spa Pool tub. 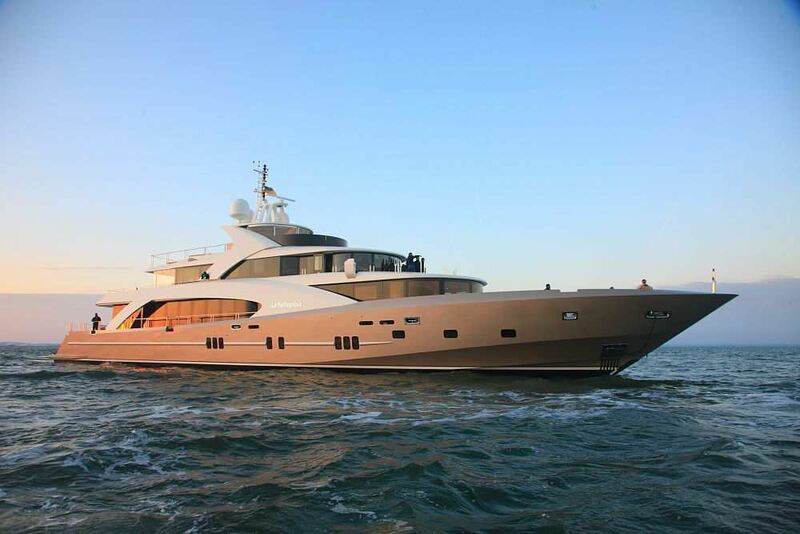 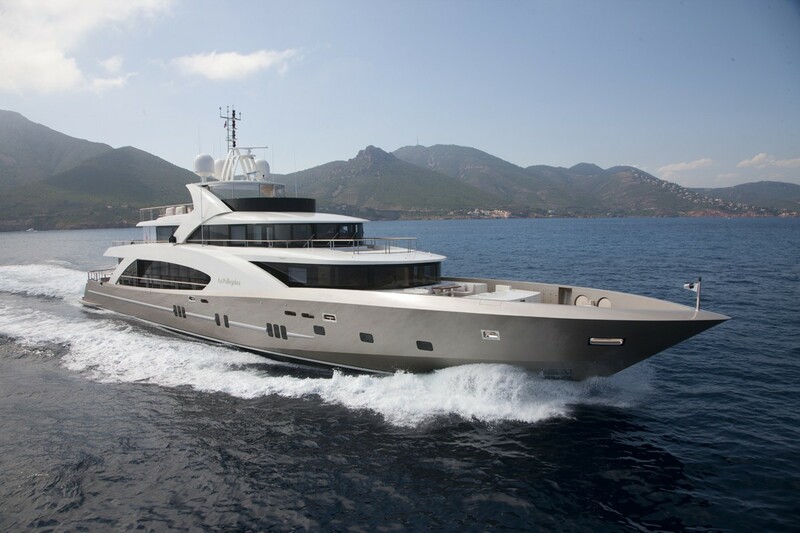 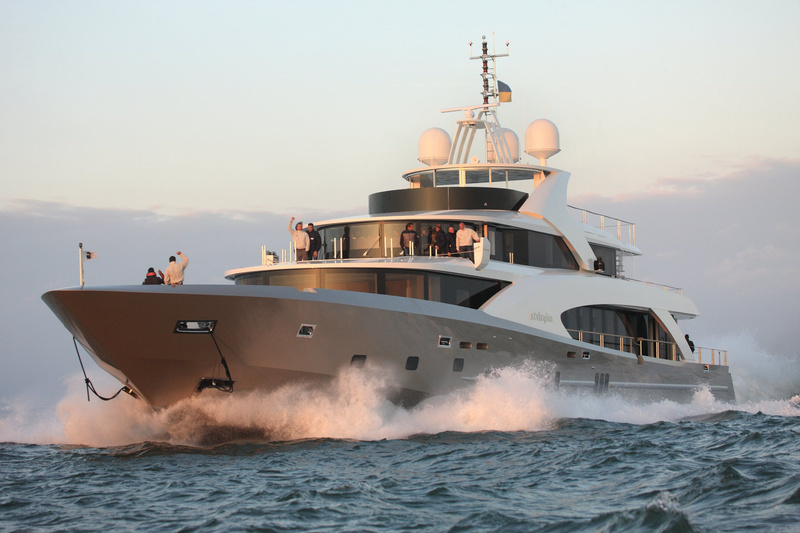 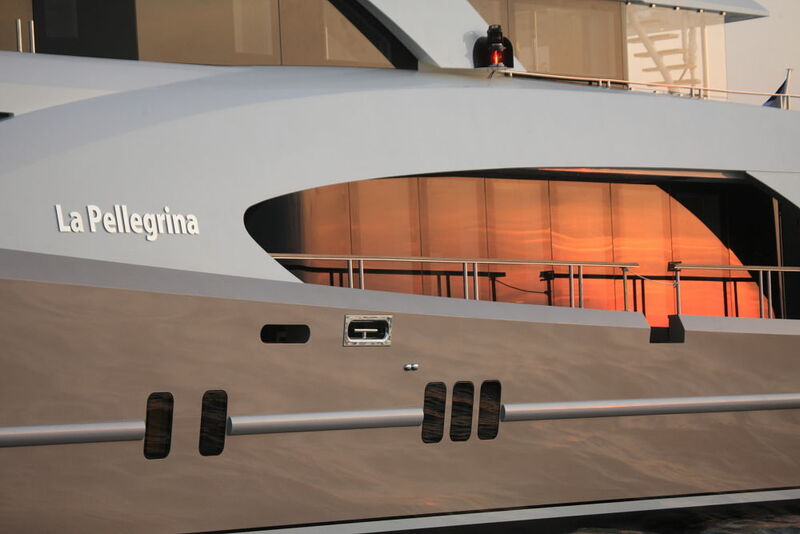 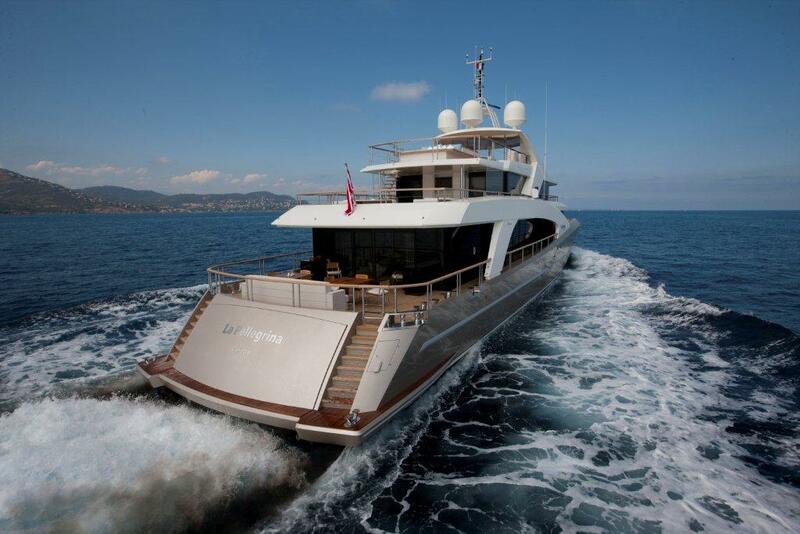 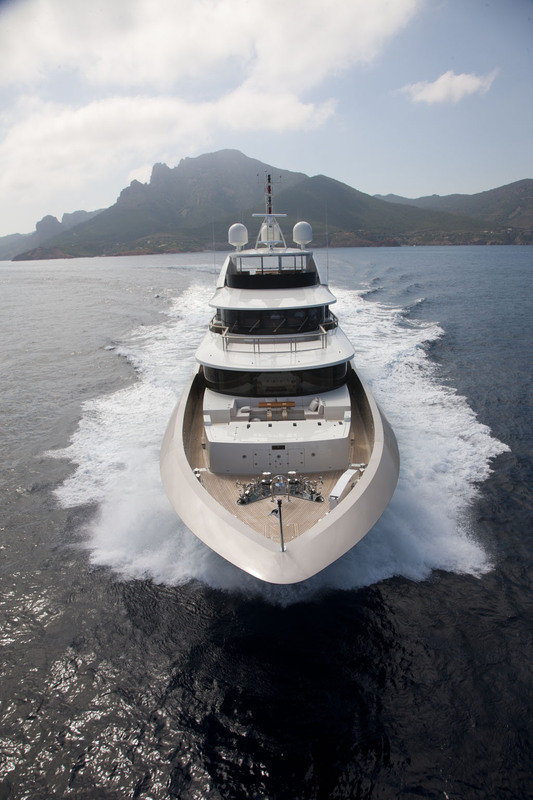 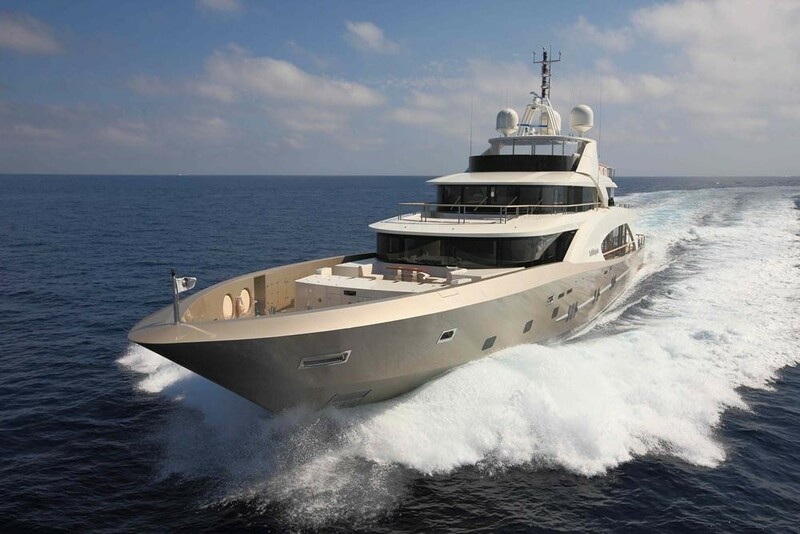 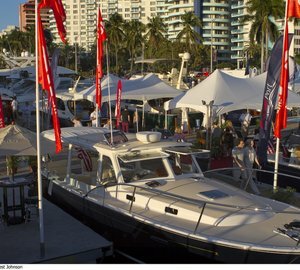 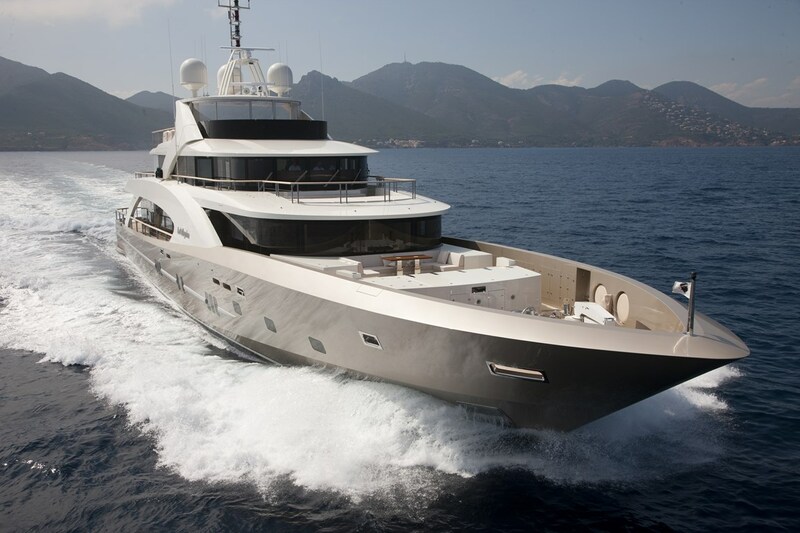 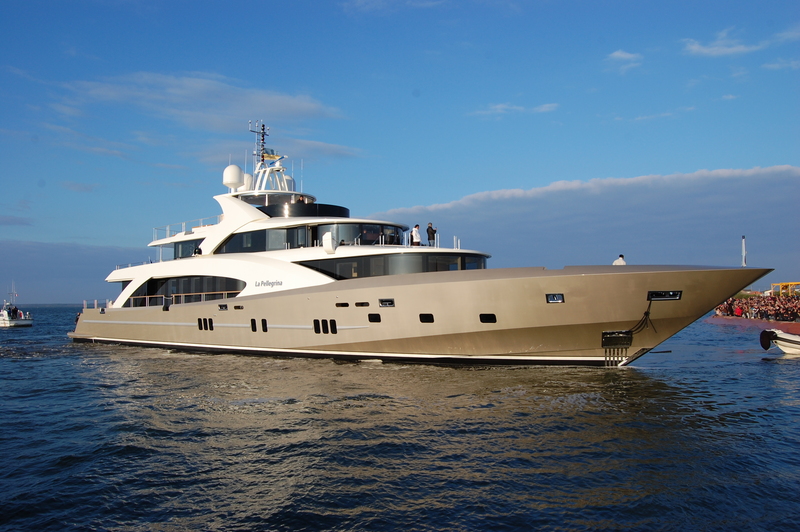 She is powered by 2 x MTU 5240HP engines, she is capable of cruising at 16 knots and can reach top speeds of 28 knots. 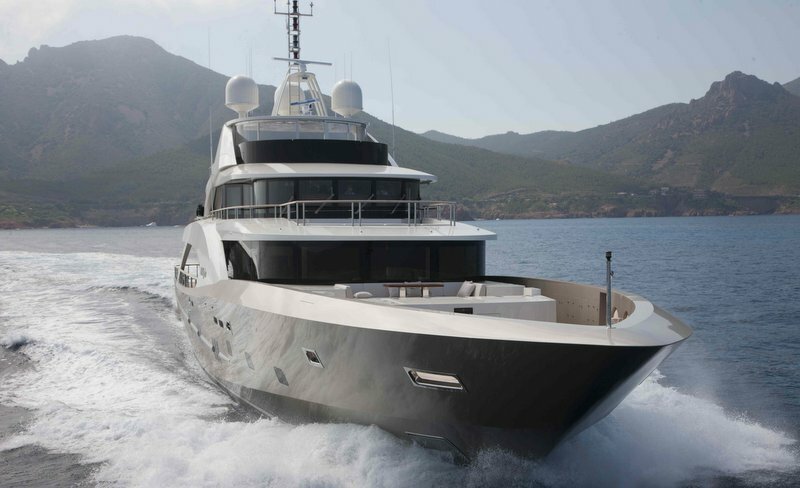 Quantum zero speed stabilizers provide optimum comfort both at anchor and underway. 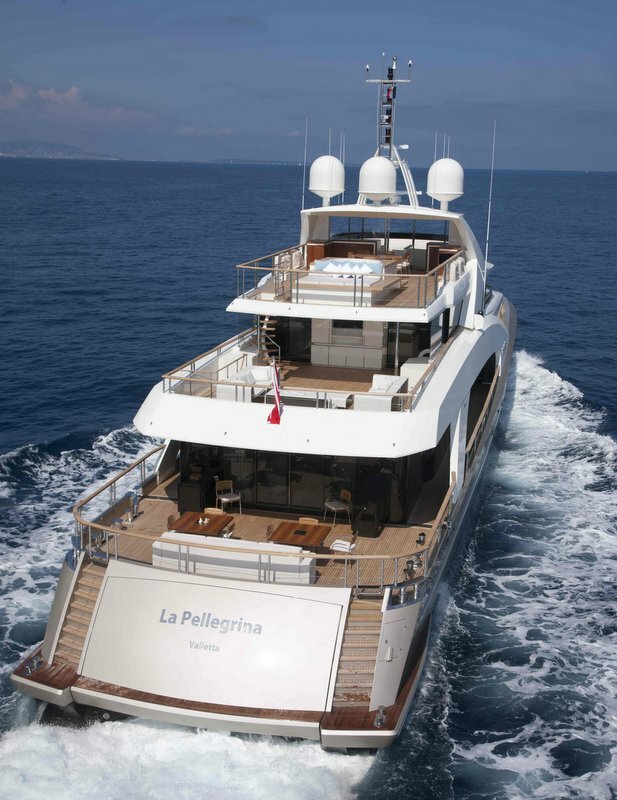 LA PELLEGRINA can accommodate up to 12 guests in 6 en-suite cabins, she is managed by a dedicated crew of 10 ensuring guests a relaxing and unforgettable charter experience. 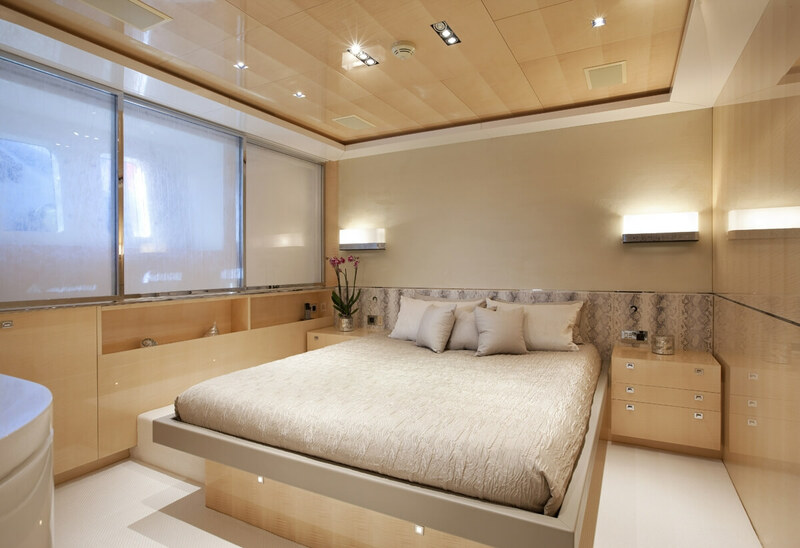 The master suite is on the upper deck featuring an island style king size bed, sofa, table and seating, walk in wardrobe and en-suite facilities with his and hers sinks and a tub. 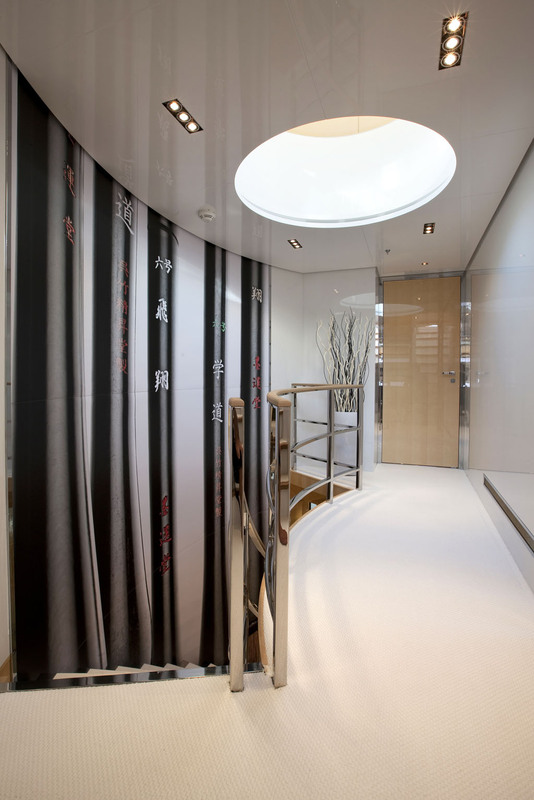 A VIP cabin is on the main deck forward with king size bed, sofa, walk in wardrobe, en-suite facilities with large shower and 180-degree panoramic windows. 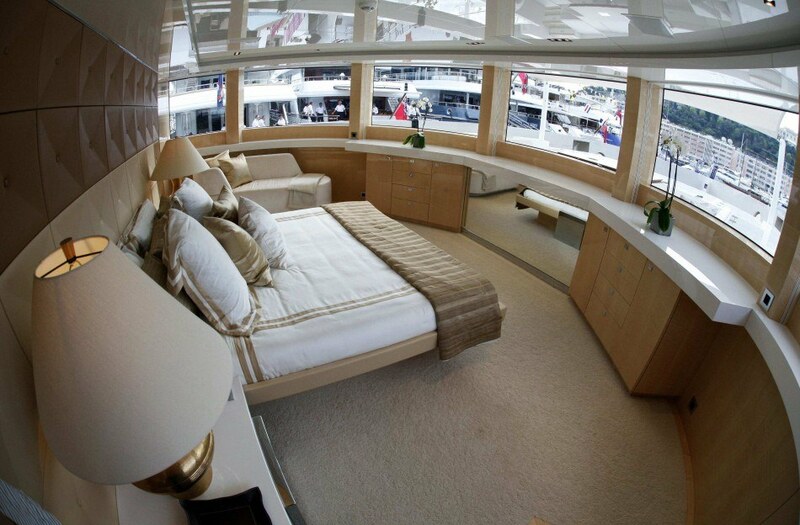 On the lower deck are 3 double cabins with queen size beds and one twin with 2 side by side single beds. 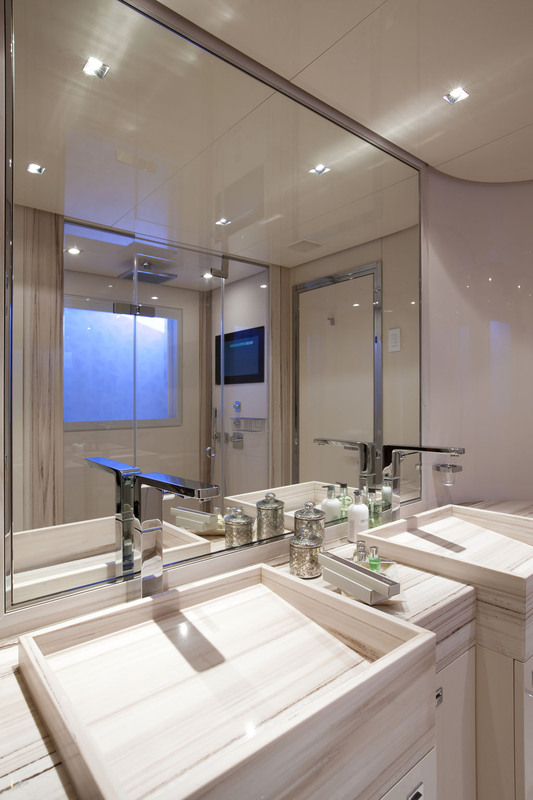 All 6 cabins receive ample natural light from windows and ports and offer a refined elegant ambiance. 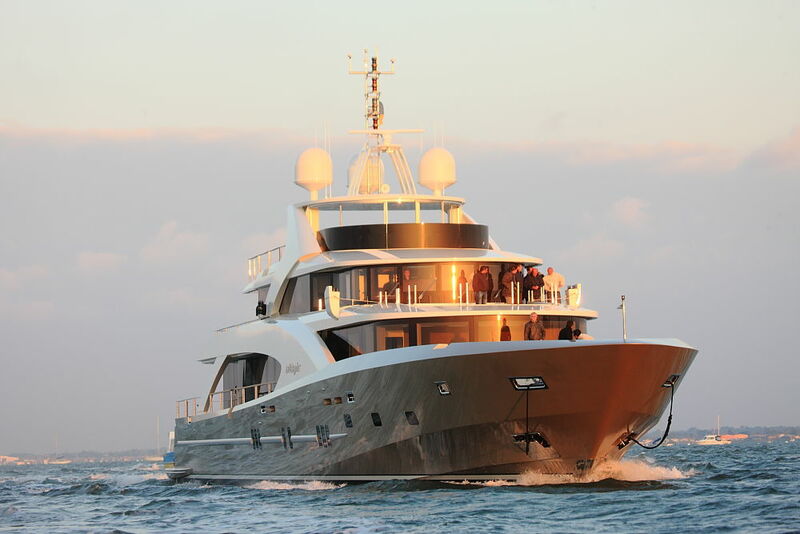 Tenders + toys include a tender diesel Novurania equator EQR600, 1 Jetski SEA DOO - GTX 250 CV, 1 Jet a bras Yamaha, Wakeboard Equipment, Diving Equipment, waterskis, donuts, Monoskis, Banana, Snorkelling Equipment for 10 people, Stabilizers Quantum Zero speed, Spa Pool on upper deck, Sauna. 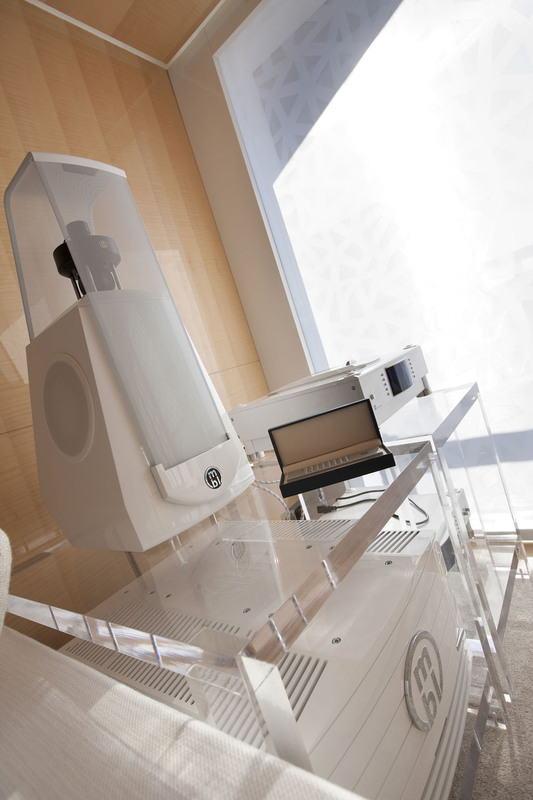 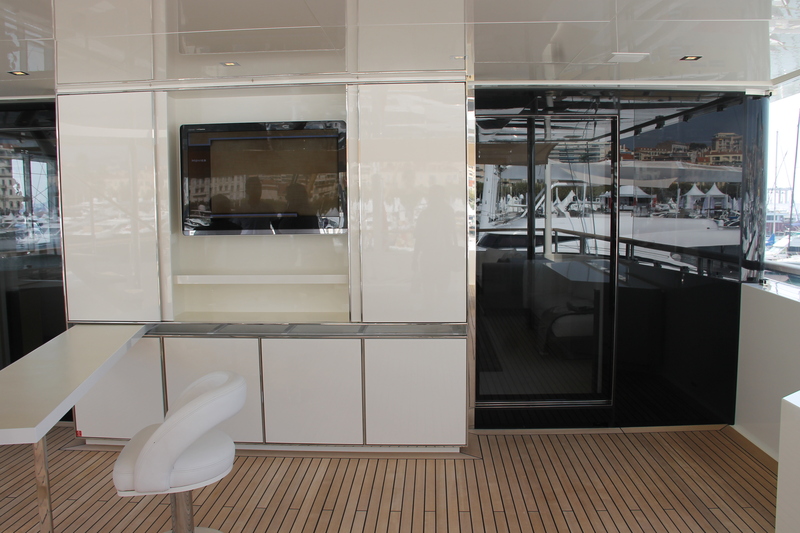 Audio Visual Equipment and Deck Facilities include Audio MBL and TV Sat. 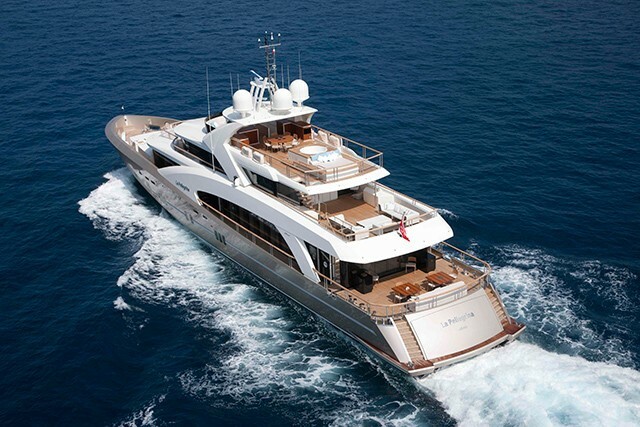 Communications: Tel sat and wifi internet onboard all the boat.